The makers of SS Rajamouli's RRR have called off its Pune schedule after mega power star Ram Charan suffered an ankle injury. They will resume the schedule after three weeks. The makers of RRR took to the Twitter page of the movie to announce this news. They tweeted, "We regret to mention that #RamCharan confronted a minor ankle injury while working out at the gym, yesterday. The pune schedule has been called off. Back to action in 3 weeks! #RRR." The huge success of Baahubali film series has raised a lot of hype and curiosity about RRR. The makers of the movie are aware this excitement will lead to the leaking of its details. Hence, they have kept everything under wraps and taken utmost care in safeguarding anything related to film being leaked online. But to their disappointment, a video taken from its sets was leaked on social media on Tuesday. In the video, Ram Charan is seen coming on a scooter, while Junior NTR gets down from his caravan. The young tiger takes over the driver seat and Ram Charan sits sit in the back seat. The camaraderie between the two had stunned the fans of the mega and Nandamuri families. 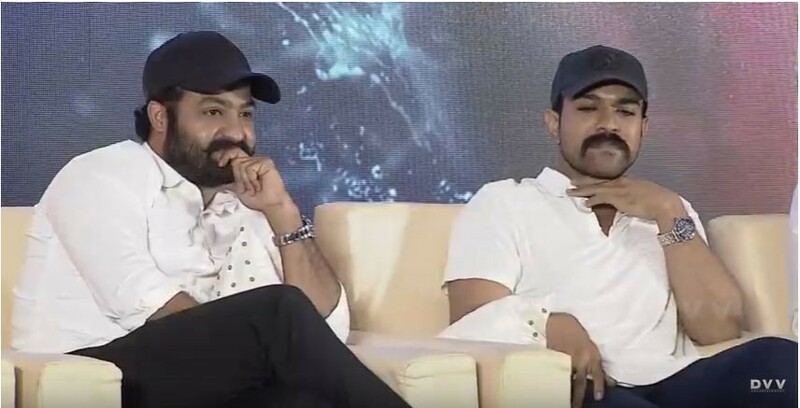 A Cherry fan shared the video and wrote, "Looking like Blood brothers #RamCharan and @tarak9999 #RRR"
Many of these are disappointed to hear the news about Ram Charan suffering injury just a day after enjoying the video of his bonding with Junior NTR. In reply to RRR makers post, some fans speedy recovery to the mega power star. They also express their sadness over this news. Get well soon ...#Charan Take Care annaya @tarak9999 Ninna aa video lo mi bonding chusi chala dhisti tagilinattu undi..Take care.. HOT! Aishwarya Rai's glamorous photo from her Maldives vacation is breaking the internet!